I just stumbled across this very good rate offer (essentially 40% off) for stays at Accor’s resorts in Thailand. The general offer is Stay for 3 nights but you only have to pay for 2. This is essentially 33% discount. They forget to tell, however, that Le Club Accorhotels members get an additional 10% off that brings the discount to 40%. You can access the offer on Accor’s web site here . The 3 For 2 member rate is really 40% off of the best available rate for midweek stay in June. Accor has done really terrible job of communicating an offer that is actually a good one to its members that get an additional 10% off that is not mentioned anywhere. Also, it is unclear how long this offer is valid as there are no terms and conditions at all. 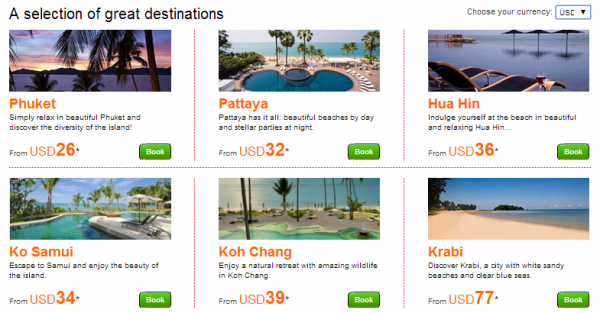 If you are planning a rendezvous in Thailand this summer, it is worth checking out the rates using this offer.